We’re off to SHRM 2015 Expo in Las Vegas this weekend! This is certainly one of the biggest conferences for the human resources crowd and we’re excited to be exhibiting and attending the sixth year in a row. Train by Cell, you may remember, is the leader is providing mobile solutions to HR departments. We work with over 200 clients worldwide and are constantly looking into expanding our technologies. 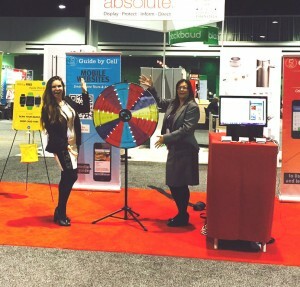 Make sure you stop by booth 2809 to spin our very own wheel of fortune, enter our great Apple Watch contest and watch a live demo of our technologies. If you won’t be attending SHRM this year, sign up for our monthly webinars here. It’s a great way to stay up to date about what’s happening with mobile in the workplace!